In yet another high profile accusation, a former SamTrans accountant says she faced retaliation when she questioned how the district spent public money. The San Mateo County Transit District is under more scrutiny after a lawsuit filed last week alleged the transit agency retaliated against a former accountant when she questioned how public money was being spent. Ling La worked as a senior accountant at SamTrans for 2 years. The transit agency manages the finances for CalTrain, SamTrans buses, and the San Mateo County Transportation Authority. La says she was fired after raising questions about a series of transactions she believed to be fraud. “We as internal accountants, we saw a lot of things going on in there,” La told NBC Bay Area. She is the second accountant to come forward with allegations the district is mismanaging public money. La alleges she uncovered a pattern of fake expenses and improper payments occurring at the district for years. However, when she notified SamTrans CEO Mike Scanlon and the Human Resources director, her discovery was not welcomed. “It’s very tough because I got a lot of retaliation,” La said. In her suit, the former senior accountant alleges she was “subject to a pattern of harassment and retaliation” and later terminated for raising concerns. SamTrans spokesperson Jayme Ackemann vehemently denies the allegations, and told NBC Bay Area the district is prepared to fight the claim in court. “We are prepared to vigorously and thoroughly defend ourselves against this lawsuit and we expect to be successful in its resolution,” Ackemann said. Ackemann says the district hired independent investigator Allison West to review all of La’s personnel complaints and sided with the district. “We’re confident in the work of the independent investigator. We believe the findings speak for themselves and we look forward to the opportunity to review them further in court,” Ackemann said. The NBC Bay Area Investigative Unit reviewed West’s findings and discovered the independent investigator was not asked to review La’s claims of fake expenses and improper payments. An NBC Bay Area investigation looking into La’s claims found hundreds of thousands in improper payments that the district’s auditors found were “incorrectly coded,” but deemed immaterial. La is the second former SamTrans accountant to come forward with allegations the district is mismanaging public money. Former accountant David Ramires revealed a second set of books he used to keep track of the fake and inflated expenses La alleges in her complaint. He said these “fake expenses” allowed the district to hide millions to be spent at the discretion of finance managers, namely SamTrans CFO Gigi Harrington. 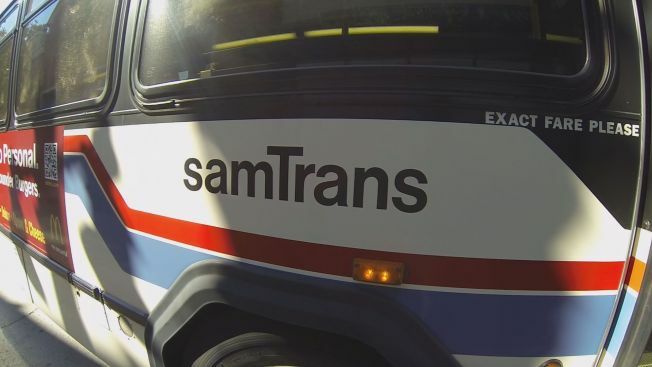 “If these numbers are going out to the public and they [SamTrans] cannot stand by them, there’s something wrong,” Ramires said. SamTrans acknowledges there are no invoices or proof for the expenses Ramires pointed out as fake, but denies Ramires was ordered to record them by his managers. San Mateo County District Attorney Steve Wagstaffe says he is recommending an independent forensic audit on the accounts and transactions highlighted by David Ramires and La, but so far an auditor has not been named. SamTrans firmly denies any fraud is occurring and maintains that its auditors have found no problems with the internal controls. The district upholds that any irregularities exposed by NBC Bay Area were caused by the “unilateral actions” of a single employee.